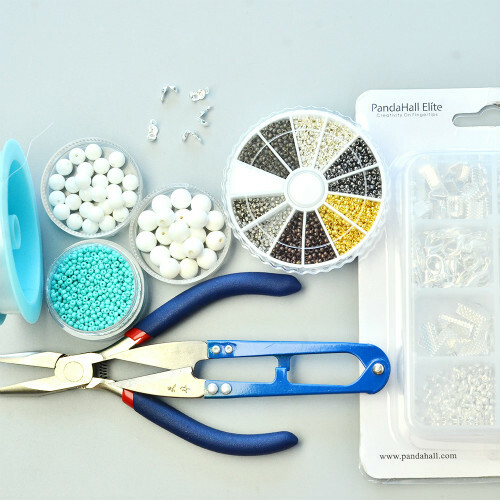 Summary: This tutorial is about bracelet with giant clam shell beads. 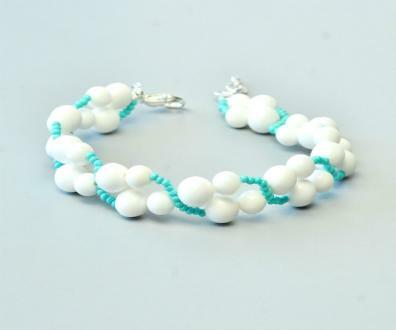 This bracelet is full of sea style with the two sizes of white giant clam shell round beads. 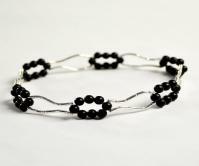 What will you think of when you see such a plain bracelet? 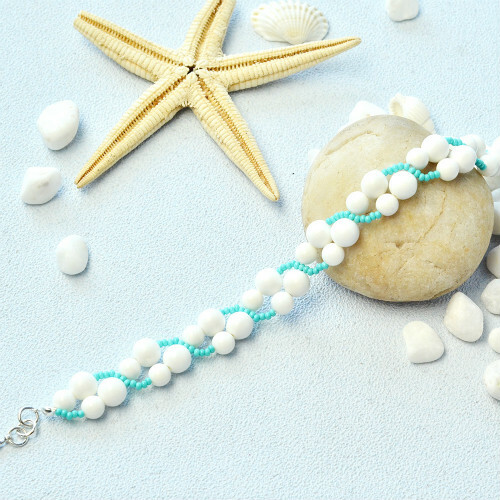 It reminds me of the sea, the wind and those white shells on the beach. 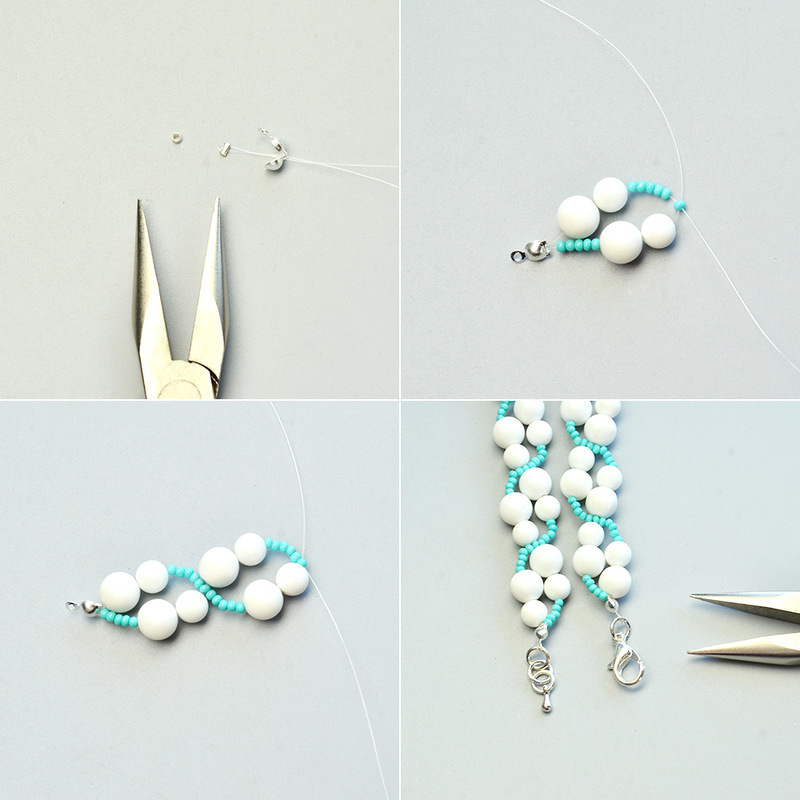 Today’s tutorial will teach you on how to make such a light -colored bead bracelet. Let’s try wearing this bracelet. 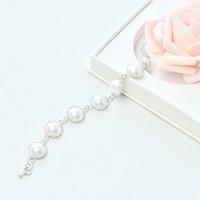 Just as you may imagine, the simple piece sets off your demure elegance and feminine charms. 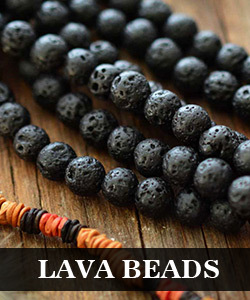 Not only can you make your own jewelry after this, you can also make this bracelet and send it as gifts to your friends and the cost is very low.